How are statistics used in your organization for making decisions? What decisions have you made based on statistics? 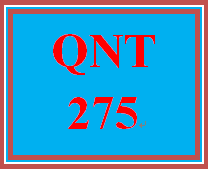 QNT 275 Week 1 Practice: Week 1 Discussion Question 2 https://plus.google.com/u/0/108200033792883877670/posts/dWT4sDYbQKM QNT 275 Week 1 Practice: Week 1 Discussion Question 2 What is statistics? Please discuss: What is statistics?